See those little red things? We’re going to make soup out of them. Not the green things, or the yellow things… though they make perfectly good soup as well. No, it’s the red things I want you to concentrate on this time. ‘Cause they make one of the best soups ever. My mother got this recipe for red lentil soup back in the 1970s. Its origins are lost in the mists of time, but it’s definitely due for re-release into the world. It’s my go-to lentil soup for cold days and wet days, and since that describes our projected summer forecast here, I might be making it uncharacteristically often this year. The red lentils don’t hold their shape the way green or brown ones do; they get squishy. They turn into a thick, hearty delight, creamy yet textured, an excellent complement to the other flavours cooked into the soup. If you want to, you can vary the recipe by adding other flavours – curry spices, Creole, Cajun, Tex-Mex, Ethiopian – or putting in some meat or additional vegetables. There are many possibilities for fun with the basic recipe. According to this LiveStrong page, red lentils are a great source of fibre, folate, magnesium, iron, and, by heaven, molybdenum! (I had no idea humans even needed molybdenum until now.) And this page from The Complete Idiot’s Guide to Menopause tells us that legumes, including lentils, can ease menopause symptoms because of their phytoestrogen content. If you eat paleo, you might not find lentils fit into your diet plan, but if you do eat them, this soup is a delicious way to do it. 1. In large pot, fry onions, carrots and celery in a small amount of oil over medium heat for approximately 10 minutes. 2. Add lentils and the 4 cups of chicken stock. Bring to a boil. Lower heat and simmer for about 1 hour, stirring frequently to make sure lentils don’t stick to the bottom of the pot. 3. Add remaining ingredients. Simmer until soup is thick, at least 1 hour. Serve and enjoy. Squishy Red Thing Soup, just love the name. Sounds yummy. I love red lentils. Cute name! I agree, lentils are delicious! I like all the lentil varieties, they seem to give different, yet equally tasty, results. Wow! recipe from the 70s! Do you soak your beans first? Sounds tasty. 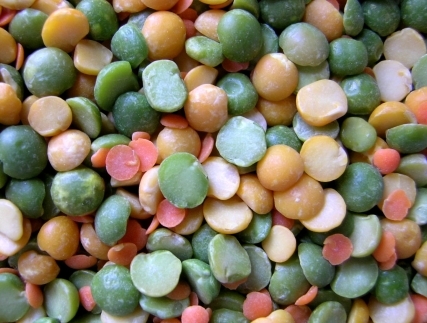 I love the clever way you turned the stock photo of multicoloured lentils into a blog-post-relevant game, thus turning a barely usable photo into the perfect photo for this blog entry! All that and a great recipe too. Aw… thanks, D! You know all my tricks… 😀 Hope you make the soup. 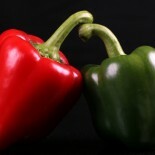 Later I’ll do a split pea one; may have to use the same photo! This entry was posted on June 5, 2013 by thinkreadcook and tagged cooking, food, health, lentils, menopause, nutrition, paleo, recipe, soup.